Lets get one thing straight. I think all of us beauties, including those who don't use make up at all, I'm sure all of us must have heard of Maybelline? Yes, Maybelline brand. Been in the market, I actually have not been keeping tap, but I know Maybelline, can we call it a pioneer brand? If you agree so, I don't mind going along with you. Frankly speaking, I can't even recall which products from Maybelline range I have already tested tried. Seriously, I can't remember beauties. Nevermind. 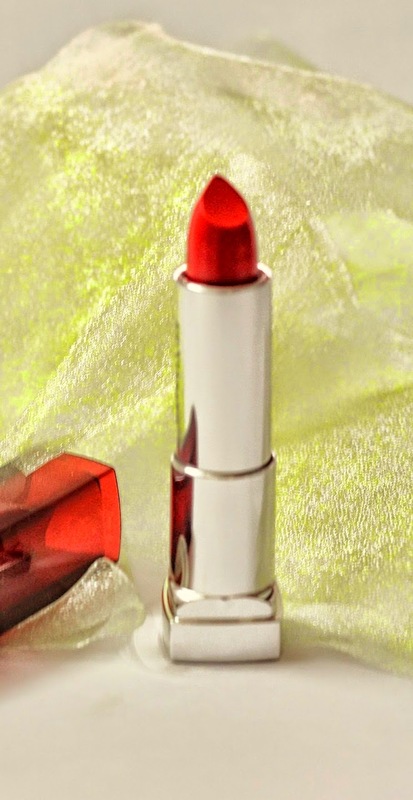 I doubt its important, or maybe we should put the blame on my memory lapse, shall I now introduce to you Maybelline Color Sensational Red Porcelain Lipstick? Whether you agree or not, I am going to anyway. Akin a magnet attraction the moment I stood in front of the counter, I told myself that its about time I get a red lipstick. I really needed one. Lipsticks by the way don't last forever. Whether you use them or not, they can't sit on your dressing table forever. Two years the most, you better throw them away. Then again, I can only advise you. If you still insist on using, you better be prepared for the consequences. Swelling or rashes are potentially the obvious. I stood in front of Maybelline counter, consequently, it didn't take me long before I picked up this "Red Porcelain" between the rest of the red shades. This chilli red, oh-my, let me tell was simply irresistible. As it is red is my favourite, this red simply melted me further. Lip color so rich, so stunning, it's sensational. Sealed in a plastic outer covering, and lipstick bullet housed in a slender silver tube and cased with a red plastic cover, I am okay with the packaging. You can't ask for too much right with affordable lipsticks? Of course not and any lipstick in such similar packaging is travel friendly. Silly me even to mention but I can't assure you if it is sturdy. Maybe you can throw it on a rough surface for finding out? I suspect, you know what I suspect, I think its breakable. Plastic, what do you expect? If it does break int two, it will definitely crack. Logically. Color or shade wise, its red hue does instantly brighten my complexion. It also adds color vibrant, it wakes me up and it is definitely of glossy finishing. One swipe and I am done. Maybelline Color Sensational Red Porcelain Lipstick glides super smoothly like butter and its color payoff is great. Lightweight, non-sticky and non-drying, this vanilla scented lipstick stays put for at least 4 hours. Thereafter, or immediately after a meal, it is gone. 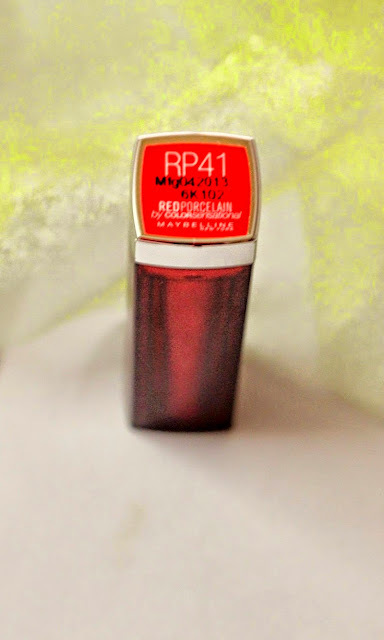 With Maybelline Color Sensational Red Porcelain Lipstick, I don't need to line my lips. You can if you want to know, I have never been into lip lining anyway, never been, I don't think I will be keen too, I am happy by drawing my lips with this red lippie, and then fullest filling up my pucker. Anything else I should tell you? I don't think so. Oh, if you need to reapply, ensure that none is left on your lips. 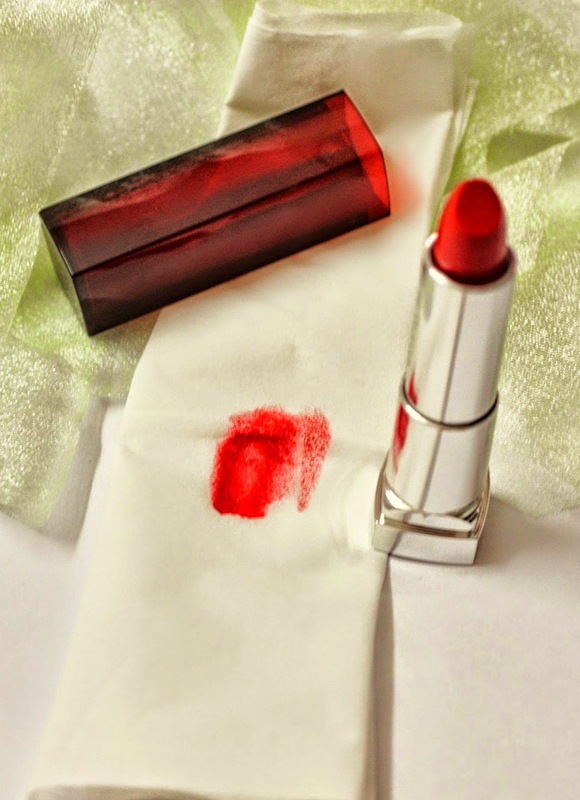 Meaning, wipe off every bit before reapplying for a smooth luscious finishing. This is the all dolled-up me for a wedding. Maybelline Color Sensational Red Porcelain Lipstick on my pout. Take care beauties. I will see you again next time. Love the bright red color.. Your a pro in writing reviews dear..
Wow that sure is a beautiful red I have always envied on Taylor swift or Angelina. 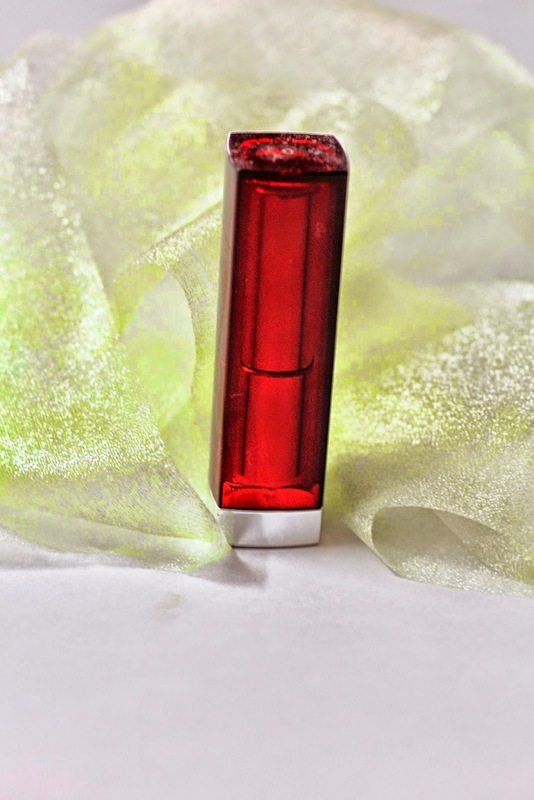 That is one beautiful red color, and maybelline products are affordable too. Wow its a stunning color I bet looks amazing on you.